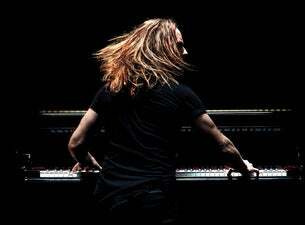 TIM MINCHIN, internationally renowned award-winning musician, comedian, actor, writer and composer, will return to New Zealand to play Auckland’s ASB Theatre Sunday 14th April before heading to Wellington`s Michael Fowler Centre on Thursday April 18th 2019. Billed as “Old Songs, New Songs, F*** You Songs”, hinting at a set list of material from all corners of Minchin’s eclectic – and often iconoclastic – repertoire, BACK will be Minchin’s first live show in Aotearoa in over a decade. With a long history of sold out tours and his most recent Australian one-off performance as part of Dark Mofo in June selling out in under 15 minutes. The music virtuoso also announced that a portion of this tour profits will be donated to a local charity in both Auckland and Wellington. In Auckland, this charity is Ngā Rangatahi Toa who work with young people who have been excluded or on the cusp of being excluded from mainstream education and in Wellington the charity will be Arohanui Strings-Sistema, a charitable trust offering high quality music classes free of charge to vulnerable children across the cities northern suburbs.